« Please Take Good Care of Yourself. Today we ask that you stop arguing. It just means, don’t argue. Almost all argument is a waste of energy. When someone has a viewpoint strongly in opposition to yours, arguing with them will almost never convince them that you are right. It usually just makes them more intractable and rigid. The best way to be is like water. Water is a powerful substance. It wears down mountains and carves deep canyons. It can pass around and beneath any closed door. It wields vast power. Water is fluid. There is nothing rigid about water. Rigid things break. Water is unbreakable. So when someone comes at you with beliefs you don’t like, don’t take a rigid stance. Don’t tell them that they’re wrong and give them a lecture. Just say they could be right, and go about your business. This doesn’t mean they are right, and you are not saying so. All you are saying is they could be right. Telling someone they could be right is like giving them a wonderful gift. Often people are so delighted to be given this gift, that as soon as you give it to them, they relax. The moment you don’t argue, the moment you say “You could be right” — watch what happens. Their whole attitude may change. They may even be able to listen to you now. They would never have listened to you when you were arguing with them. 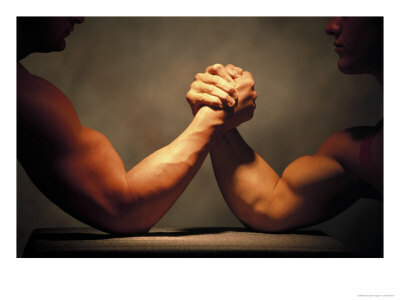 Stop arm wrestling with people. It is a waste of energy. Think of all the good things you could do with that arm, if you weren’t busy arm wrestling with other people. This doesn’t mean, be a doormat and just go along with whatever people tell you. It just means, conserve your energy. Use your energy wisely. The more you dedicate energy to creating positive internal change within yourself, the less you will care what other people say, or think, or do.